Could The Killers and/or The Cure be set for headlining Glastonbury 2019? Glastonbury Festival will be returning to Worthy Farm this summer after taking its traditional year off in 2018. If the bookies’ odds mean anything, we could be seeing The Killers and/or The Cure take to the Pyramid Stage at this year’s Glastonbury Festival. So far, Stormzy is the sole Pyramid Stage headliner to be confirmed for Glastonbury 2019. 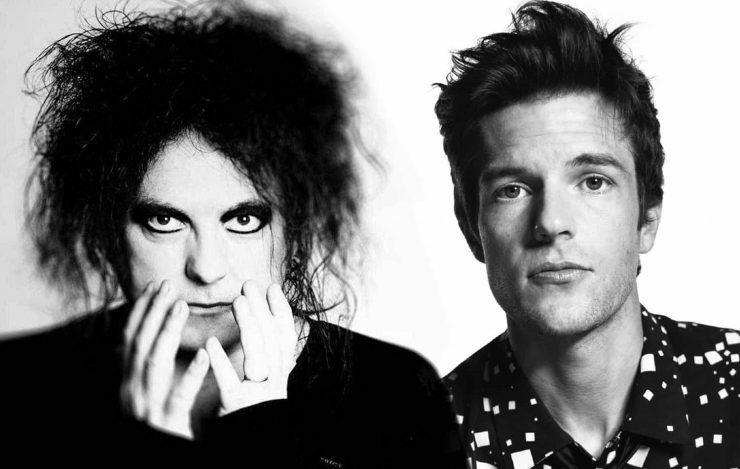 Strong rumours are circulating regarding the possibility of The Killers and/or The Cure filling one or both of the remaining headline slots at this year’s festival. Add this to the reports from last month of 888sport slashing the odds on The Killers headlining Glastonbury 2019 – which in turn, comes on the heels of Glastonbury organiser, Emily Eavis, just recently naming The Cure as one of the first ever bands she got into while chatting to George Ezra in podcast ‘George Ezra & Friends’. Both bands are no stranger to the Worthy Farm event – The Killers surprised Glasto-goers in 2017 with a ‘secret set’ at the John Peel Stage while also headlining in 2007, which is nothing compared to The Cure’s 3 previous Pyramid Stage performances (1986, 1990 and 1995). In addition to Stormzy, Janelle Monae has also been confirmed for this year’s Glastonbury Festival and will be topping the bill on the West Holts Stage, while Kylie Minogue is set to take the Sunday afternoon ‘Legends Slot’ on the Pyramid Stage. Other notable artists who have self-confirmed for Glastonbury 2019 include Hacienda Classical, The Streets’ Mike Skinner, and CamelPhat amongst others. Although the first line-up poster will probably not be unveiled by the festival’s officials until the end of March / beginning of April, you can check out the latest Glastonbury 2019 confirmed headliners & line-up rumours HERE. Tickets for Glastonbury 2019 have sold out, but there will be a resale sometime in April. Glastonbury 2019 runs between June 26 and 30 at Worthy Farm, Pilton.